Bots are neither good nor bad. They are simply pieces of software designed to complete repetitive tasks on an automated basis much faster than a human ever could. But, for some bad guys, they have become an integral tool supercharging one of the fastest-growing fraud types facing merchants today--account takeover fraud. Bots are able to test hundreds of millions of username/password combinations stolen in data breaches across the Internet at scale, yielding a significant number of valid login credentials fraudsters can then use to take over accounts, becoming the most dangerous foe there is: criminals with bad intentions masquerading as legitimate users. 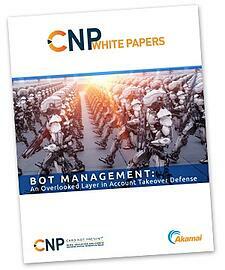 In this white paper, learn how fraud professionals can benefit from upstream solutions that detect and mitigate bot attacks, resulting in less ATO.